Fernie Youth Services has compiled a list of resources that we believe are helpful to youth and guardians who are struggling with Youth Justice issues. Do you have a resource that you feel would be a great addition to our list? Contact us to let us know. We gladly welcome suggestions. Youth justice programs are committed to improving outcomes for all youth who come into contact with the law. In 2014, the ministry set new system-wide goals that build on our continued efforts to reduce re-offending. This initiative will inspire success and aid in measuring our impact on the youth we serve. Legal services for young people under 18 and homeless youth under 25 in Ontario. Youth Justice Ontario is an association representing over 40 agencies province wide that provide services to youth involved in the youth justice system. The agencies that we are comprised of provide a wide spectrum of multi-faceted services which range from prevention and early intervention programs, to custody and community aftercare. The Youth Criminal Justice Act (YCJA) is a Canadian statute, which came into effect on April 1, 2003. It covers the prosecution of youths for criminal offences. The YCJA replaced the Young Offenders Act, which was a replacement for the Juvenile Delinquents Act. If you are a teen or young adult, Legal Aid Ontario can help you, whether you are in trouble with the law, or experiencing family problems and need legal help. For over 50 years, Anago’s philosophy has been to establish positive therapeutic relationships with supported individuals. Anago focuses on a person’s gifts and believes that everyone has different abilities not disabilities. Anago serves female youth in need of protection, male youth in conflict with the law, and individuals with developmental disabilities who may also be medically fragile. Banyan has developed a strong infrastructure to support high-risk youth who have been placed by the court into our secure and open facilities. Specialized programs and services offer youth new learning opportunities to increase their skills and abilities, improve and change negative behaviour, increase youth engagement with supports and decrease re-offending to ensure public safety. 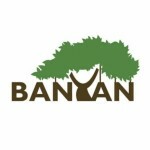 Banyan promotes the successful reintegration of youth back into their communities. Our multidisciplinary clinical support team and staff work closely with the youth; mentoring and caring for them with the utmost respect and dignity. 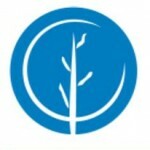 Our Mission is to help children and youth become resilient in dealing with life’s challenges by; promo​ting the individual, family, and community competencies & strengths that protect them and reducing the social and psychological risks that make them vulnerable to adversity & setbacks ;providing professional, ethical, and therapeutic programs that rehabilitate, foster independence, and develop personal responsibility and compassion; and forming progressive partnerships and sharing timely, accurate, and relevant information with all stakeholders in the child & youth serving fields. An accredited non-profit, charitable, multi-service, mental health agency providing flexible and accessible services to youth, adults and their families. 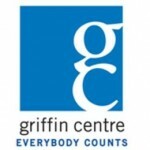 Since 1975, Griffin Centre has been delivering services to people who thought their needs didn’t count. We continue to expand our programs and services to respond to the changing and emerging needs of diverse individuals in our community. We help them find solutions to their challenges. Services offered are based on the Principles of community safety, accountability and the reduction of recidivism through the provision of rehabilitative programs and community reintegration. Programs and services are based on cognitive behavioural principles and interventions, best practices, consultation, and integrated with other service providers within youth justice and the broader community. 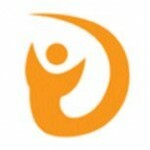 MISSION: Helping children and youth with complex needs achieve better life outcomes. Lutherwood provides a variety of services for youth involved in the justice system. These services are treatment-based and address mental health challenges that might have led to the involvement in the justice system. Referral to these programs happens through the court system. Morton House / Morton Youth Services offers a non-voluntary and a voluntary structured group residential program, including an in house school for children * addresses child behaviour problems (aggression, constant running, placement breakdowns, suicidal tendencies and requirement for assessment/placement) * offers stabilization of behaviour through a self management concept as well as assistance in obtaining assessment, observation and reporting of behaviour. 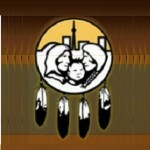 Native Child and Family Services of Toronto (NCFST) was founded in 1986 by concerned members of Toronto’s Native community. The founders were concerned about the high number of children in the care of Children’s Aid Societies and by the issues, such as poverty, addictions, family violence, and homelessness, confronting Native families in the city. The founders were further concerned that while the Native family had many issues before it, few services within the mainstream sector were available to meet the needs of an increasingly voiceless and marginalized community. 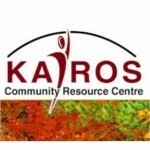 Designated centre that is a place of secure temporary detainment and secure custody for young females who have become involved with the law * offers many cognitive behaviour programs such as drug and alcohol awareness, anger management, thinking errors, victim awareness, choices and consequences, peer counseling, and life skills * provides a community support team which provides counselling services to high risk youth. The primary goal of Northern Youth Services (NYS) is to deliver services to young persons in conflict with the law who require detention, custody or who are involved in a community support team while residing in the community. 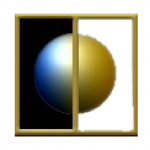 Provides custodial and non-custodial services for young offenders. Pine Hill is an 8 bed residential program that provides open custody and detention services to young offenders 12 to 17 years of age * the facility is rurally located approximately 25 minutes south west of Owen Sound. Responsibility, self-care, and self-confidence. These are just some of the lessons young people learn in our custody, youth reintegration, and alternative education programs. With support from Ray of Hope staff, their parents or guardians and community professionals, young offenders and youth at risk have a chance to redirect their lives. 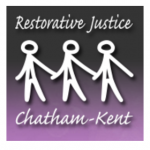 Restorative Justice Chatham-Kent is a thriving community-oriented, incorporated non-profit and charitable organization. The alternative pathways we provide to at-risk youth in the community are achieved through our Extrajudicial Measures Program (Pre-Charge Diversion, Police-referred), Extrajudicial Sanctions Program (Post-Charge Diversion, Crown Attorney-referred) and Restorative Justice Community Conferencing. 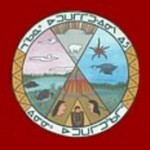 These programs are funded by the Ministry of Children and Youth Services; the EJM and EJS Programs are only available to youth (12-17) who have come into contact with the law, and have a minor criminal offence charge pending or within the court system, under the Youth Criminal Justice Act (YCJA). 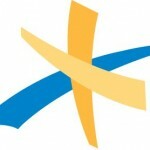 Simcoe Muskoka Family Connexions was launched as a new integrated child and family services agency. 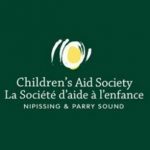 It is the amalgamated organization of the Simcoe Children’s Aid Society and Family, Youth and Child Services of Muskoka. We are committed to working collaboratively to build a safe and strong community where children, youth and families thrive. Our services include child protection, family support, family creation through adoption, kinship, customary care and foster care, and in our Muskoka branches, we offer children’s mental health services. Our Mission: Strengthening people and communities with innovative, individualized services. Our Vision: To realize the potential of those we serve through a spectrum of services that are holistic & culturally sensitive. Our Mandate: To contribute to individual and community wellness by providing outcomes-based services in the areas of: Support to persons with disabilities, Child, youth and family services, Youth justice, Acquired brain injury, Therapeutic service for families and individuals. 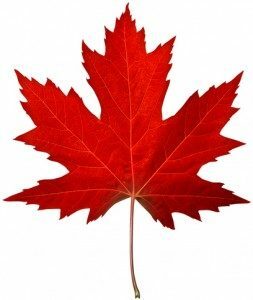 Youth Now Canada is a dynamic and youth focused organization that is committed to providing quality, evidence-based programming to assist youth and their parents. We have served youth with complex needs over the last three decades and have worked extensively with probation services, the courts, education and child welfare. We provide flexible, individually tailored services that meet youth where they are, and build on their strengths. Mission: AYSP is a dynamic team of optimistic and compassionate professionals and volunteers dedicated to helping children, youth and families manage mental health and/or justice issues in order to realize their potential and encourage their contribution to community. 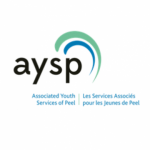 Vision: AYSP will be recognized and valued as a pivotal leader in improving the lives of children and youth dealing with mental health and justice issues within an equity-based framework. 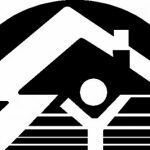 The Canadian Mental Health Association (CMHA) Sudbury/Manitoulin branch was established in 1984 and is a not-for-profit organization with a volunteer board of directors. 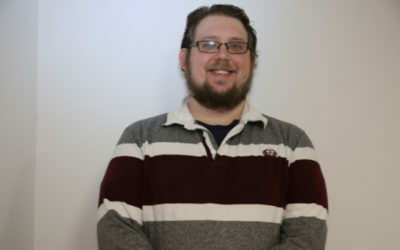 The branch is mandated to provide services to individuals with mental health issues or a diagnosis of a mental illness (though it is not required) within the Sudbury and Manitoulin districts. 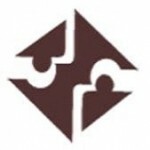 Our mission is to provide services that promote recovery for all and mental health education. We believe in helping people regain a meaningful role in their community. 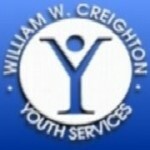 William W. Creighton Youth Services is mandated to provide youth justice services under the Child and Family Services Act (Ontario) and the Youth Criminal Justice Act (YCJA). The target population is youth whose offence is committed between 12 and 18 years of age. Our focus is on Protection of the Public (Caring for Community) and Effective Rehabilitation (Caring for Kids). The services provided are designed to address youth needs that are directly linked to continued criminal behaviour. Youth are supported and challenged to assume responsibility for personal behaviour and to bring about change in thinking patterns that may lead to further criminal involvement. Dalhousie Youth Support Services is a non-profit organization located in Peterborough, Ontario, operating under the supervision of a Board of Directors made up of members of the community. In March 2003, the Attendance Center program was developed with the passing of the Youth Criminal Justice Act (YCJA) as an alternative sentence to custody for non-dangerous offenders. 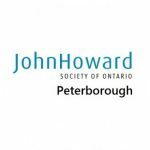 The organization has grown and now offers 4 programs to youth in the City of Peterborough and surrounding communities; The Attendance Center, Reintegration & Community Support, Extra-Judicial Measures, and Extra-Judicial Sanctions. The Elizabeth Fry Society of Peel-Halton was started as a volunteer organization over 46 years ago. 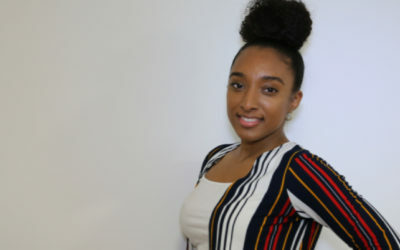 The Society has since expanded, and although still relies heavily on volunteers, has over fifty full-time staff members and a number of contract staff. The Society’s head office is in Brampton, with satellite offices in Mississauga and Milton. E-Fry Peel-Halton also operates two residential facilities and the only two women only Attendance Centers in the Province. Kennedy House works with youth to enable them to grow as individuals to contribute as members of the community. This is achieved in our residential and community based programs by providing customized support and building trusting relationships. Mee-Quam Youth Residence is a ten bed open custody/detention program that the Provincial Director for Custody has decided is where you will serve your court-ordered sentence as a result of a conviction for criminal behavior or your remand time as you await your day in court. Established in 1972, the foundation was created to provide a caring and supportive environment to young men and women who are in conflict with the law. Our goal is to empower today’s youth to reach their full human potential and to enable them to successfully reintegrate and become productive members of society. New Path Youth and Family Services of Simcoe County is an accredited children’s mental health centre providing a range of compassionate, innovative and accessible services for children, youth and their families throughout Simcoe County. 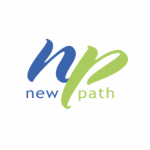 New Path is funded through multiple funding sources including the Ministry of Children and Youth Services, the Ministry of Community and Social Services and the Ministry of Attorney General. 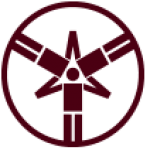 Mission: Working together for the well-being and safety of children, youth and families. Vision: Strong, healthy and safe communities where children, youth and families thrive. Our Vision: All children and youth achieve their greatest potential within caring, responsive families and communities. 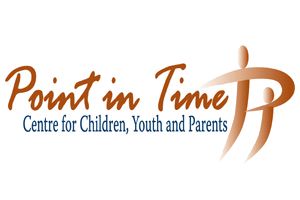 Our Mission: Point in Time Centre for Children, Youth and Parents identifies needs, provides supports, and services enabling residents of Haliburton County to function at their highest potential. The Youth Justice Committee for Leeds and Grenville is an alternative program to formal court proceedings that is accessed through our Extrajudicial Measures and Extrajudicial Sanctions programs.The Youth Justice Committee Provides: A voice for the victim to express how the youth’s actions have affected them. An opportunity for youth to better understand their actions and how they impact the people they have harmed, their parents and their community. Opportunity for communities to become directly involved in the administration of youth justice. 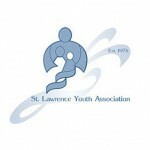 The St. Lawrence Youth Association is a non-profit charitable organization, funded by the Ministry of Children and Youth Services. Established 1974 in Kingston, Ontario. SLYA operates two residential programs (Achievement St. Lawrence and Sundance) including medical services, Girl’s Moving On and Reintegration Worker Programs; two community-based programs (Community Support Services and Intensive Support & Supervision Program), and a Bailiff Program. 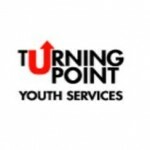 Turning Point Youth Services (TPYS) is an accredited, non-profit multi-service agency serving youth 12 to 24 years of age and their families. We offer three integrated program areas for youth facing challenges: counselling services, residential care and treatment (including emergency shelter), and support for youth in trouble with the law. We also offer referrals to other services and agencies, and work closely with community partners for coordinated client support. The Youth Diversion Program is a charitable organization which has offered service to youth in the Kingston area since 1974. The goals of the organization are to allow youth to take responsibility for their behaviour, to reduce the number of youth involved in the young offender system, to reduce the number of people victimized by youth in our community, and, to involve the community in youth corrections. 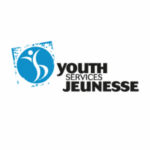 Founded in 1960, the Youth Services Bureau of Ottawa (YSB) is one of the largest and most comprehensive non‑profit agencies serving youth in this community. Over 350 caring professionals work from 20 locations across the city to deliver a vast range of programs and services that support at‑risk youth and their families.